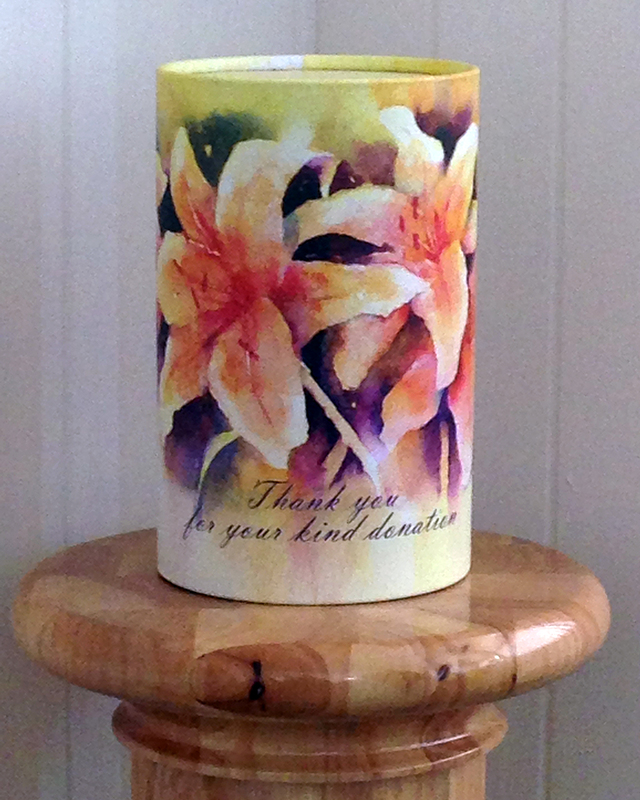 Donations are often used as an alternative to sending flowers for a funeral service. All donations are taken care of and forwarded to the charity of choice by family, approximately three weeks after the funeral service date. Family will receive a letter with all personal notes attached, and a list of contributors also. We can arrange for a donation tube to be taken along on the day of the funeral. This can be placed by the entrance of the Church or Exit of Crematorium, and if desired also, at the reception, after service has taken place.